Sir Francis Walsingham was brought up on the edge of the court. A convinced Protestant, he went into exile during Mary I's reign but returned to sit in Elizabeth I's first Parliament. A talented linguist, he was ambassador to France before becoming one of the queen's Secretaries - an arduous role that occupied him for seventeen years. His chief preoccupation was the preservation of the queen in the face of plots and threats from Catholics at home and abroad. Walsingham travelled in both France and Italy during his exile in Mary I's reign. he also visited France and the Netherlands in ambassadorial roles. In England, he seems to have stayed close to London and the court, rather than travelling further afield. Walsingham is best known for his development of a complex network of spies and informers, who used codes and ciphers to communicate their information. little is known of how he spent his few leisure hours, but a love of art was one of his pleasures. Walsingham is the subject of a couple of recent biographies, as well as being a chapter in Susan Doran's Elizabeth I and her Circle, and a key figure in Stephen Alford's The Watchers: a Secret History of the Reign of Elizabeth I. 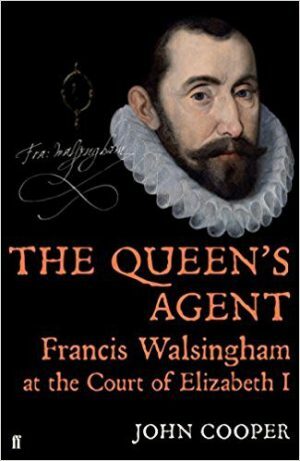 We have reviewed John Cooper's The Queen's Agent: Sir Francis Walsingham at the Court of Elizabeth I here.